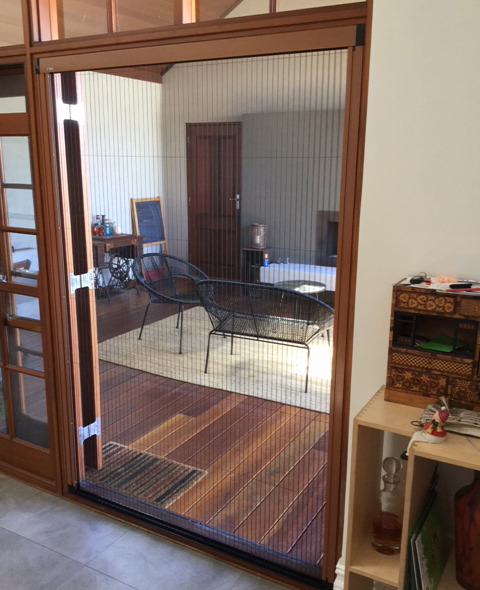 This is a Model A, Single Screen for French doors chosen for this lovely house in North Perth. The screen in 1680mm wide. The colour, Dulux Copper Pearl matches the cedar surrounds well. Our large range of screens are on display at Home Base EXPO, on the ground floor, booth 64. Home Base EXPO is the largest building, renovating, decorating and landscaping centre in Australia.